This month, I’m doing something a bit different. I’ve had the distinct pleasure of working with Dr. Seth Meyers, Psy.D. for a while now. Dr. Seth is a licensed clinical psychologist and relationship expert who’s appeared regularly on Nancy Grace as well as 20/20, Dr. Drew, Good Morning America (among others… he’s basically famous, guys!). We chat all the time about different relationship topics and, not too long ago, he brought up that many of his patients with attention-deficit/hyperactivity disorder, or ADHD, are afraid the condition affects their ability to have a successful relationship. This is a topic I’ve never really explored, but it stands out to me as something we should! At the end of the day, how does anyone define a successful relationship? I asked Dr. Seth to share some ways for couples with ADHD to be successful in their relationship. His response amazed me, so I just had to share. First and foremost, there are so many misconceptions about successful relationships, let alone ones where a partner has ADHD. Many people believe those with ADHD cannot have a successful relationship. The triggers, like stress, overstimulation or technology are things that most teenagers and adults don’t live without anymore. In a relationship, you have to nurture and listen and be attentive; someone with ADHD may not have the ability to pay attention as long as you’d ideally want them to. But, if you think about it, the definition of a “successful” relationship depends on the couple you are talking with. You can’t define what a successful relationship looks like to someone else. Dr. Seth shared the key ways to be successful in a relationship if you or your partner has ADHD. Tell your date early on that you have ADHD. Once you establish that the person is someone you are interested in, let them know you have ADHD. Sharing this information will help your date understand your behavior better. Explain how ADHD affects you. It takes time to get to know the person you are beginning to date. Don’t expect them to know exactly what it means to have ADHD or how it specifically affects you and your daily life. Take a moment to explain the types of situations that trigger your inattention or hyperactivity. By communicating clearly, you take an enormous burden off the person who dates you, removing guessing games or insecure thoughts they may have if they take your behavior personally. Ask your date to tell you when any of your ADHD behaviors bother them. This may sound like a bad idea, but the reality is that your ADHD will sometimes cause your date to feel bothered. 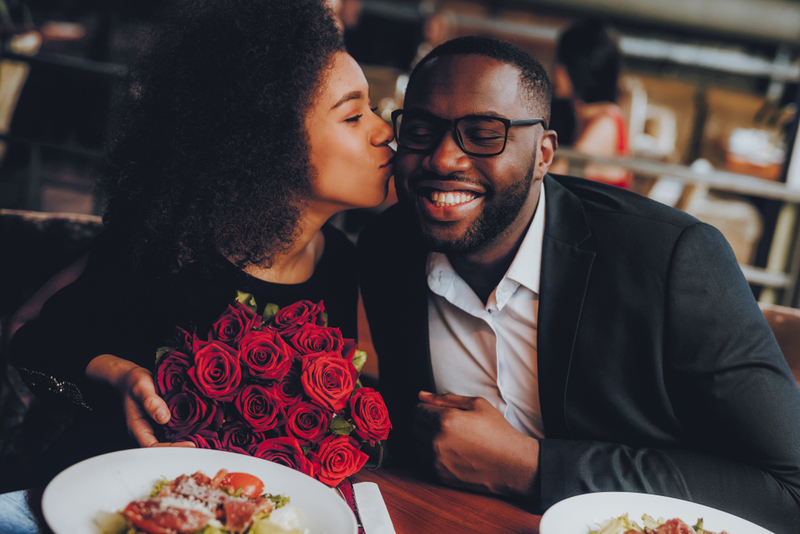 Tell your date from the beginning that you are an open person and explain that you want a give-and-take relationship where you are both able to communicate feelings without fear of consequences or punishments. Prepare in advance for situations that trigger your ADHD and use certain coping techniques. If you have difficulty sitting still for a long period of time, bring things to occupy yourself. Wear bracelets that stretch to occupy your fingers, remember to breathe; try to focus and sit still but if it is simply really hard for you at that moment, make a list of things you need to do in your head. Dr. Seth’s key points really came down to a simple ask: be as present as possible and be open. He tells his patients to be honest with their date or partner not just about the disorder, but how it affects them, and how it may affect the relationship. My takeaway? Be open-minded and flexible to what an ideal partnership looks like. Every individual and every relationship is unique – and with care, effort, and honesty, any relationship can be successful. Dr. Seth reminded me that ADHD is tough to deal with at times for both the people with ADHD and the people closest to them. But, he pointed out, it doesn’t have to be a curse! Many of his patients have very successful relationships as long as both members communicate openly and frequently (that sounds familiar!). At the end of the day, having ADHD makes you who you are and that should never affect how your partner views you. I think it’s fair to say that if you have a disorder or not, the key to any happy relationship is open communication. Tell me, how do you define a successful relationship?